Concetta Biagini was born in Rome, Italy on December 19, 1942. She debuted in childhood as a radio actress and advertising model. At 14 she entered the Miss Italia competition, and in the same year made her film debut in a minor role in Michelangelo Antonioni's “Le Amiche”. Later in the 1960s Biagini worked in radio and television and posed for many fotonovelas. On the small screen she achieved some success not only as a showgirl but also as talented imitator; on the big screen, despite numerous appearances, her roles were usually stereotyped. In recent years Biagini has been an advocate for the homeless and those living in poverty in news columns a condition in which she actually lives. Her daughter Monica died of cancer in 1999. 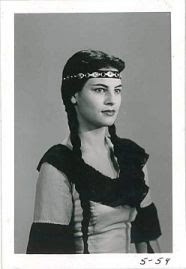 Appearing under the pseudonym Isabella Biagini she appeared in “Don’t Sing Shoot” a TV musical western and was signed to appear in “Casanova West” a 1967 western that never materialized. BIAGINI, Isabella (Concetta Biagini) [12/19/1942, Rome, Lazio, Italy - ] – model, showgirl, radio, TV actress, married to Roberto Romagnani (1960-19?? ), Piero Campagnola (19??-19?? ), Martufello (Fabrizio Maturani) [1951- ] (19??-19?? ), mother of Moncia Romagnani [19??-1999]. 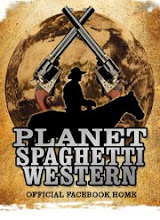 A ten year old boy, reacting to the murder of his father perpetrated by Luke, kills the gunman and becomes Roy Blood, a famous gunfighter and hatred for the Barret family, of which he is employed. Also called "Silver Saddle" Roy saves little Thomas Barrett Jr. who then becomes attached to Roy. 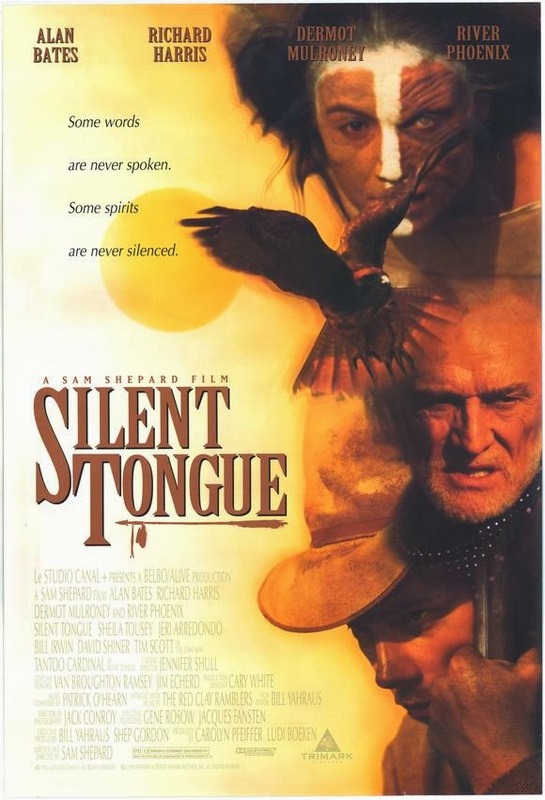 Blood decides to take his revenge but is increasingly linked to Thomas Barret Jr., he ends up in the middle of a struggle with Barret Sr., the grandson and his sister Margaret. Before discovering the guilt of the grim old Barrett, Roy Blood is forced to fight on the side of "2-Strike Snake", who faces and kills Turner, Barret’s opponent. Blood eliminates the gang of Garrincha. 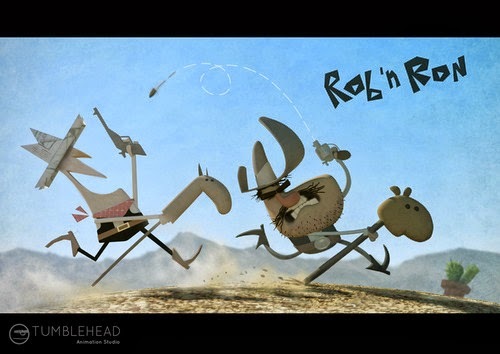 Being misunderstood by the sheriff, Roy is aided by Shiba, he is able to save Thomas Jr. and his sister. Horst Preusker was born on September 29, 1913 in Breslay, Silesia, Germany. After finishing acting lessons in his home town of Breslau, he worked as an announcer on various radio stations and on German television where he became active as an actor. After the end of World War II, Preusker worked mainly in radio, where he was employed as an announcer, spokesman and director for radio play productions. In the late 1950s he worked as a freelance actor and then focused on voice dubbing, sometimes serving as a dialogue director. As a film actor, he was involved in some DEFA and DFF film productions beginning in the 1940s and appeared in one Euro-western as Captain Warley in “Chingachgook, the Great Snake” (1967). Preusker died on May 19, 1976 in East Berlin, Germany. He was only 62. Today we remember Horst Preusker on what would have been his 100th birthday. 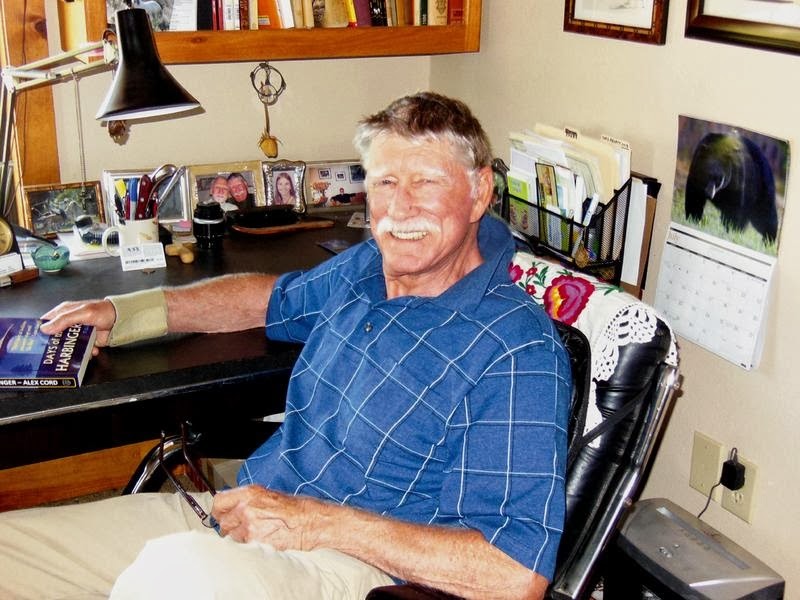 Gainesville — Cooke County resident Alex Cord, renowned actor and writer, has a new book out entitled “Days of the Harbinger” which is receiving five star ratings from those who have been first in line to get a copy. The premise of the book is “can one man change the way the entire world thinks?” where the main character, jaded movie star Johnny Grant, becomes increasingly discontented with man’s inhumanity to man and begins to be convinced the human race is headed for self-destruction. Frustrated and depressed by his inability to affect changes needed for improvement, Grant hungers for the ultimate power to make a difference despite controlling corruption in government, greed and selfishness in the world. In his story Cord’s character Grant, on film location in Australia, explicably vanishes. A worldwide frenzy erupts after his disappearance. After being gone for three days, Grant returns with a fantastic explanation for where he has been. Grant’s story, lack of evidences of where he has been and search for the truth explodes into worldwide controversy. “Days of the Harbinger” is the third book written by Cord whose previous novels “Sandsong” published by Warner Books and “A Feather in the Rain” published by Five Star Publications achieved much success and wide acclaim with talks of a future movie on the horizon. Cord first came on the scene during the 60’s where his avid interest in acting and training at the Actors Studio began his professional career in summer stock theater. The handsome thespian was soon noticed by Hollywood and he appeared in over 300 TV shows and 35 future films with the likes of Kirk Douglas, Ann-Margaret, Ernest Borgnine, Harrison Ford, George C. Scott, Angela Landsbury, Jean Simmons, Ben Johnson, Bing Crosby, Stefanie Powers, Chuck Connors and others. Cord said the idea for his latest book had been on his mind for 15 years. The difficulty was in deciding how to write it. Then a couple of years ago, the solution to the book came knocking and he then knew how it should be constructed. He has spent the last two years working on the plot, developing the characters and honing his craft until it was beautifully edited and published this year. Although he majored in English literature, Cord credits the masters of literature as his greatest teachers. Two windows allow soft light into his working office with pictures of family, friends, movie stills and posters dominating the walls. It is a comfortable place of personal history with heavy laden bookcases where instruments of his craft dominate the shelves. One of the family dogs, Chico, sleeps soundly at the door staying close by just in case he is needed to lend a paw or to offer an ear to be scratched. Not one to rest on his laurels, Cord is already thinking of his next book he has tentatively called “Conversations with Man,” a collection of interviews from men who offer insights into their thoughts on women. Cord’s wife Susannah Cord has also urged him to start his autobiography and he is pondering that possibility. You can purchase “Days of the Harbinger” online at amazon.com. Autographed copies are available through www.timbercreekpress.net. In search of film locations for “Return of the Seven”. After the film’s opening credits play over the peaceful Mexican village, we see a small boy pulling a horse at a water wheel while many of the village women wash clothes below. 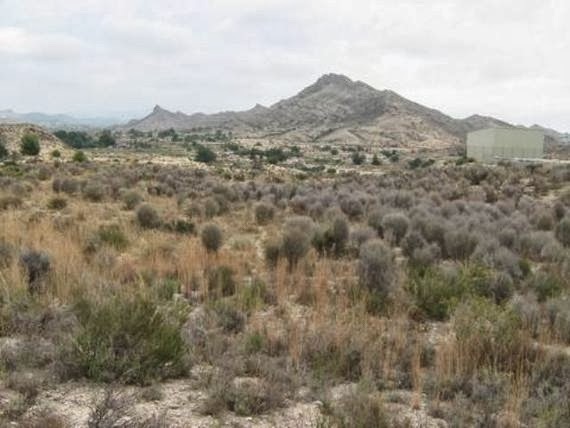 This location is called Barranc de Pina, Alicante, Spain. I’m an American actor born in Hollywood in 1929. 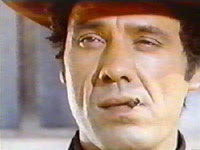 I appeared in over 85 TV series and films, one was a Euro-western. I have a son and daughter who are both actors. 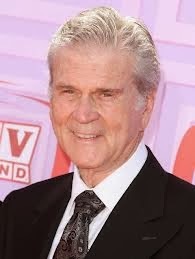 No one guessed this week's photo of Don Murray. Another episode in the “Arizona Bill” saga. Model, actress and agent, Cándida López Cano has died in Spain. Cándida was the wife of the late actor Aldo Sambrell. She was 77. Cándida was a model and then an actress who sometimes was billed as Candice Kay. After marrying Aldo in 1964 she became his agent as well as for the late Frank Braña, Luis Barboo and several other Spanish actors. Cándida and Aldo had one son Alfredo Xavier Sánchez Cavaleiro. An old cowboy, that lives isolated in the mountains and haunted by his past, decides to return to his village. On reaching the village he finds all the villagers murdered and upon reaching the the chapel he finds his brother has been hung and burned. He decides to cross the mountains in search of his former enemies. The third annual Almeria Western Film Festival (AWFF 2013) , the first European festival dedicated exclusively to the Western film genre, will be held October 2, 3 , 4 and 5, at three spectacular locations: the Teatro Municipal de Tabernas, Mini Hollywood Oasys Theme Park, and the movie studio Fort Bravo . Started in 2011, the AWFF is twofold. On the one hand, it promotes the cultural value of the Western film genre through promoting the latest films made by great directors, the classics and the support of professionals in this industry’s film world. In addition, the festival promotes tourism and environmental value in Tabernas, thanks to its natural settings, it’s the point on the map in which hundreds of movies were filmed the mythical genre in 1960s and 1970s. This year , the festival will have ten films competing in the official section, starting with “Django Unchained “ (USA), “Cooperhead” (USA), “Undead Men” (Italy), “Hannah’s Law” (Canada / USA), “West Of Thunder” (USA) , “Abraham Lincoln: Vampire Hunter “ (USA), “Dead Man's Burden “ (USA), “El aparecido” (Argentina), “Goodnight For Justice: Queen Of Hearts” ( USA) and “The Man Who Shook the Hand of Vicente Fernandez” (USA) . 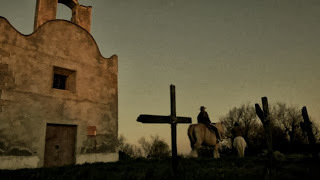 Also screening but not in competition: the films “Pistoleros de Arizona” (Spain/Italy/Germany), "Los profesionales de la muerte” (Spain/Italy), “The Debacle” (USA), and “La muerte cumple condena” (Spain/Italy). On the other hand, the will also be the shorts “La muerte lo seguía” (Spain), “Descenso al infierno” (Spain), “La venganza de Mauricio” (México), “La carta” (Spain), “Um de nos morre hoje” (Brasil), “The Men Who Were Shot In The Lungs’ (Holland), “El hombre sin tiempo” (Spain), “Nosotros somos justicia” (Spain) and “Ça caille a l’ombre” (France). 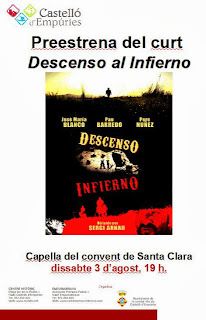 On the program at the Almeria Western Film Festival 2013 will be offered lectures, forums, awards, tributes, relaxed meetings, classic films, short films, The socio-cultural even is being promoted and organized by the City of Tabernas, Mini Hollywood Oasys Theme Park and the movie studio Fort Bravo. Jury members include actors Robert Woods, George Hilton, Charly Bravo, Simone Blondell, Mónica Randall and Rafael Romero Marchent. 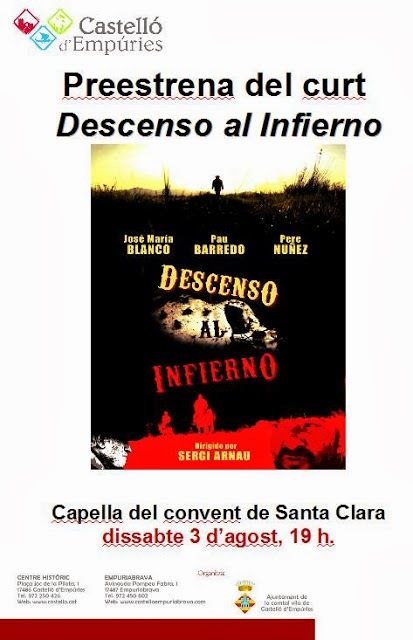 The festival also features the sponsorship of the Government of Andalusia, Andalusia Tourism and Almería City Council, which will make known to all the film and tourism possibilities of Tabernas and the entire area of the region. 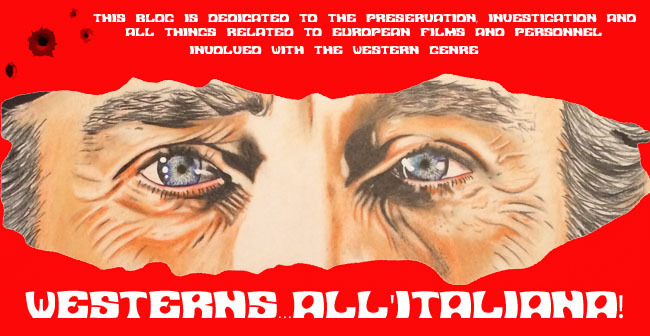 In its third edition, the AWFF re-affirms, therefore, its position as the first Western European festival, with a more comprehensive program and directed to an increasingly wide audience, of the young and enthusiastic fan, with special sessions devoted to children, more movies, more surprises and more activities. The festival will award a special jury prize, the audience award, and an honorary award. 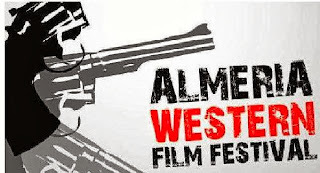 All information about the event can be found on the web www.almeriawestern.es. A young man named Talbot Roe, has gone insane over the death of his wife. Talbot's father, Prescott Roe feels his son's pain and wants to find him a new wife. 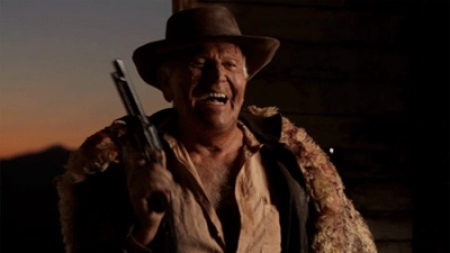 He goes back to the place where he bought Talbot's first wife, from Eamon McCree. He finds the dead wife's sister, who is a champion horse rider and Mr. McCree's daughter, which makes her only half-Indian. Roe asks McCree if he could have his last daughter for his son, but McCree refuses. Then, Roe kidnaps her and tries to get her to help him, and she takes the deal for gold and four horses. But Talbot isn't taking any chances on her—he's too afraid that she'll try to take his wife's corpse from him. And for the last few nights, he sees the ghost of his dead wife, who wants him to destroy her corpse, but he won't. Story: two out-law brothers discover that, life is what happens to you, just as you're busy doing other things. Edgardo ‘Edy’ Biagetti is an Italian stage and film actor. His main activity in the world of cinema is that of a character and supporting actor. One of his most interesting works was his participation in the film “Tototruffa '62” (1961) by Camillo Mastrocinque. In 1962, he also worked with Luciano Salce in the making of the film “La voglia” where he played the part of the physician. 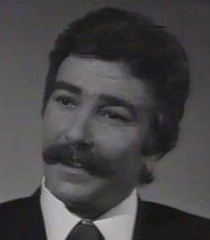 Biagetti appeared in three Euro-westerns and his last film appearance was in 1984’s “Coarse Salt”. In all Edy has appeared in over 30 film and TV appearances. BIAGETTI, Edy (aka Edoardo Biagetti Eddy Viagetti) (Edgardo Biagetti) [Italian] – stage actor. The film opens with ‘The Stranger’ traversing the Klondike goldfields, but the action is soon transferred to the interiors of a miner’s shack. The Stranger obtains a mysterious scroll with the promise of payment if the scroll is delivered to a certain Matori in Japan. The Stranger then is seen arriving in Japan. The Stranger slowly explores the unknown territory, of the narrow streets and nooks of a Japanese village. He encounters some problems such as unfriendly samurais, a tong war, and ‘The American’ who owns and operates a machine gun. The Stranger is pushed into a deluge of events and uncovers reasons of ever present hatred and violence. He tries to exploit the situation and soon finds out it´s a cut-throat game, especially when it comes down to the family matters of the various Japanese clans. Eventually all ‘The Stranger’ wants to do is deliver the scroll collect his payment and leave. The gorgeous brunette Herta-Maria Perschy was born on September 23, 1938, in Eisenstadt, Burgenland, Austria. Maria moved to Vienna at age 17 to study acting at the prestigious Max Reinhardt Seminar. After finishing her education in Vienna, Perschy moved to Germany for further training and began her career acting in German comedies in the mid-1950s. She went on to act in an eclectic array of movies in such genres as drama, horror, Western and action/adventure, made in Europe and the U.S.A.. Maria was usually cast in sexpot roles in her English-language films. She was nominated for the Golden Laurel Award for Top Female New Face in 1964. In 1971 she suffered a burn injury while filming a movie in Spain and underwent several operations before resuming her career. In 1977 she moved to Los Angeles and was married to writer John Melson [1930-1983] who committed suicide in 1983. In 1985 she moved back to her native Austria and continued to act in both plays and TV series. 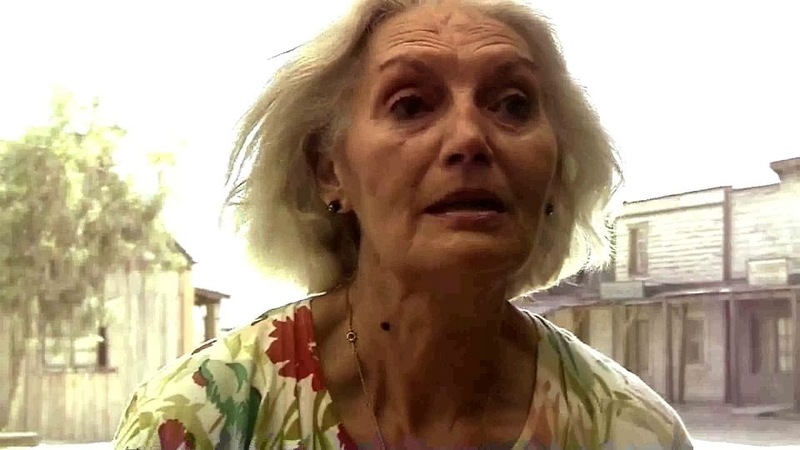 Maria Perschy died from cancer at age 66 on December 3, 2004; she was married twice and was survived by a daughter. Maria appeared in three Euro-westerns: “Bandits of the Rio Grande” (1965), “The Tall Women” (1966) and “Seven for Pancho Villa” (1967). Today we remember Maria Perschy on what would have been her 75th birthday. 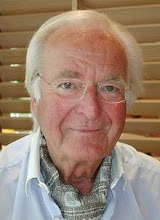 Ernst W. Kalinke was born on September 23, 1918 in Berlin, Germany. He was trained in film composition and began in 1934 as a camera assistant. Kalinke became a cinematographer after the Second World War. In the 1960s Kalinke was the first choice for the cinematographer of the Karl May and Edgar Wallace movies. The first of the Karl May movies “The Treasure of Silver” he captured on celluloid as well as Winnetou I, II, III. The first Edgar Wallace film, “Der Frosch mit der Maske” goes on his resume as well as the most successful productions “Der unheimliche Mönch” and “Die blaue Hand”. In later years Kalinke photographed very different projects behind the camera, including Ludwig Ganghofer films, and the ambitious works “Anita Drögemöller und die Ruhe” and “Der Ruhr und Der Bockerer”. Several movies such as “Lederhosenfilme” and used the pseudonym Rainer Ernst for his only directorial effort “Die liebestollen Lederhosen” in 1982. In his last years he was limited to additional films as “Schtonk!” by Helmut Dietl. Kalinke died in Munich, Germany on January 14, 1992. Today we remember one of the great cinematographers of the Euro-westerns: Enrst W. Kalinke on what would have been his 95th birthday. One of the great Italian screenwriters, Luciano Vincenzoni died in Rome today September 22 at the age of 87. 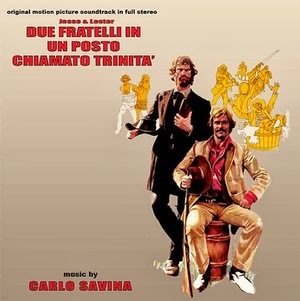 Born in Treviso in 1926, he worked with Pietro Germi, for whom he wrote “Il Ferroviere”, “Seduced and Abandoned” and “The Bees”; for Dino De Laurentiis “La grande Guerra”, “Il gobo”, “I due nemici”, for Sergio Leone “For a Few Dollars More”, “The Good, the Bad and the Ugly” and “A Fistful of Dynamite”, and for Giuseppe Tornatore “Malena”. Vincenzoni was held in high esteem in Hollywood, and was a friend of Billy Wilder. He wrote screenplays more than 60 films including 6 Euro-westerns. In search of filming locations for “The Return of the Seven”. 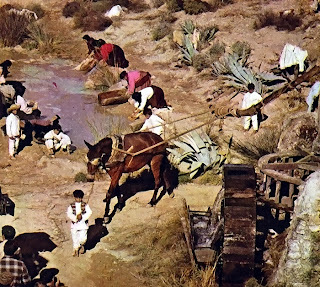 The film opens with the credits playing over a Mexican village. We see the villagers busy, going about doing their daily chores as the credits role. 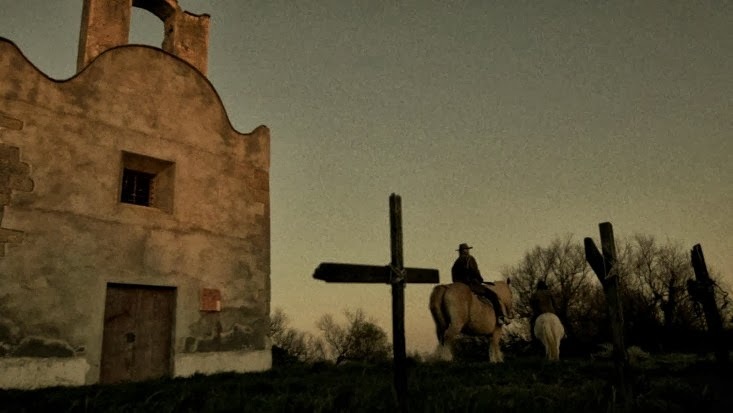 The location for the village seen in the opening credits is Serra del Castellar and is located near Puente de la Palmera. His last visit to the U.S. in late 1985 where he was encouraged to make a career for himself back home, especially if he could return with his current project in hand, a movie about the war between AIM and the FBI at Wounded Knee, 1973. 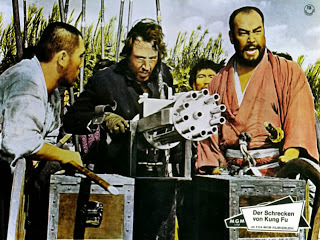 An East German/Soviet Union co-production, the film had taken years to get off the ground. Just days before shooting was due to begin, Dean Reed's body was found in a lake near his home outside of East Berlin. He had been missing for several days. Many close to him in the GDR suspected suicide; his family and friends in America believed he was murdered by the KGB. 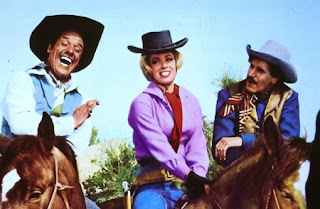 Reed made nine Euro-westerns from “Buckaroo” in 1967 to “Sing Cowboy, Sing” in 1981. He’s probably best remembered for his role as Ballantine in 1970’s “Adios Sabata” with Yul Brynner. Today we remember singer, actor, screenwriter, director Dead Reed on what would have been his 75th birthday. Michel Brault a Quebec cinematographer, cameraman, film director, screenwriter and film producer died of a heart attack in Toronto, Onataio, Canada today September 21, 2013. Born June 25, 1928 Montréal, Québec, Canada, he was a leading figure of Direct Cinema, characteristic of the French branch of the National Film Board of Canada in the 1960s. Brault was a pioneer of the hand-held camera aesthetic. In the 1960s, Brault collaborated with the French Nouvelle Vague, notably with Jean Rouch, and introduced the cinéma vérité techniques in Europe. He directed his first documentary short film for the National Film Board, the influential Les Raquetteurs in 1958. 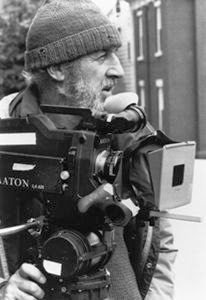 He was also the cinematographer for a number of key Canadian films of the 1970s such as Claude Jutra's “Kamouraska” and “Mon Oncle Antoine” and Francis Mankiewicz's “Les Bons débarras”. In 1974, Brault directed “Les Ordres”, about the 1970 October crisis and won the 1975 Cannes Film Festival award for best director and the 1975 Canadian Film Award for best direction. His 1989 film “The Paper Wedding” was entered into the 40th Berlin International Film Festival. Brault was the cinematographer on the 1984 TV Euro-western “Louisiana”. 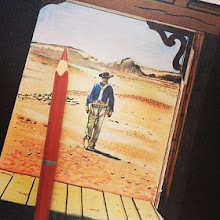 The young Don Ramón Martínez, accompanied by his faithful friend José, travels to Mexico to meet his father, exiled there twenty years earlier. On arrival he is given some sad news: his father was killed, by General Gutierrez, dictator of the region and has taken possession of his fortune. 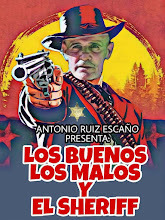 The oppression by Gutierrez, who stripped the people of all their possessions, causes Ramon to take his place alongside a group of conspirators, in order to restore peace and justice in the country. Using the name of Zorro, Ramon makes ​​several attacks that force the dictator to flee. The region now liberated, Ramon can take back the name and the wealth of his father. Giancarlo Badessi was born on September 21. 1928 in Rome, Italy as Giancarlo Badese. A multifaceted artist who was well appreciated since the early 1970s, a period during which he participated in many successful films. After an initial career as an accountant, had appeared in the theater around the age of forty, working with Giancarlo Cobelli in the play “La caserma delle fate”, which was later made ​​into the film “Stop the World ... I Want to Get Off” directed by Cobelli. Since 1967 he starred in numerous films as a character actor, becoming a familiar face on television in commercials. 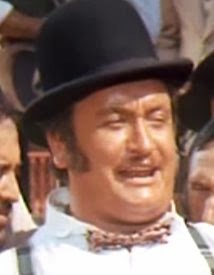 Some of his best remembered roles were as Mr. Erickson in “What Have You Done to Solange?” (1972). In 1977, he played Cerullo, in “A Man Called Magnum”. The same year he was cast in Squadra antitruffa ("Fraud Squad") which starred David Hemmings. 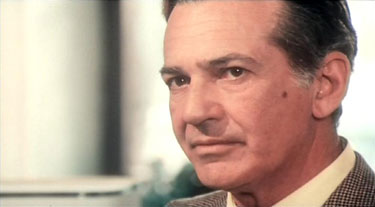 Badessi appeared in seven Euro-westerns from “Ace High” (1967) as the boxing promoter, to “Hallelujah to Vera Cruz” (1973). Giancarlo died in Rome on December 6, 2011 at the age of 82. Today we remember Giancarlo Badessi on what would have been his 85th birthday. I am an American actress born in Chicago, Illinois in 1940. I’ve appeared in over 60 films and TV appearances winning a Golden Globe award in 1975. Antonio Rosa correctly identified this week's photo as that of Raquel Welch. The actor Amidou , the first Moroccan actor to have made a name in France, died Thursday September 19, 2013 evening in a Paris hospital as a result of disease. He was 78. Mohammed Amidou Benmessaoud his real name, was born August 2, 1935 in Rabat, Morocco. The first Moroccan actor to have won an acting award at the National Conservatory of Dramatic Arts, he started in the theater with Madeleine Renaud and Jean-Louis Barrault in "Les Paravents The Screens" by Jean Genet at the Odeon in 1968 . The dark complexioned actor with a warm smile and charming eyes had a successful career in cinema. He became one of the favorite actors of Claude Lelouch turning out 10 films with him, the first feature from director "Le propre de l'homme" in 1960. Speaking English, he also had a career in the United States with films by William Friedkin "The Sorcerer", "Rules of Engagement ", Otto Preminger "Rosebud", John Huston "Victory is Ours", John Frankenheimer "Ronin", Tony Scott "Spy Game". 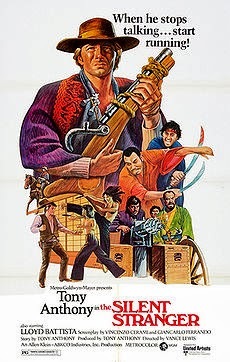 He’s remembered by Spaghetti western fans as Cocoa Bud Spencer’s Indian sidekick in “Buddy Goes West” (1981). Jacques Gaston Bézard was born in Nancy, Meurthe-et-Moselle, France on July 9, 1930. Bézard was a French producer and film actor who appeared in over 30 films starting with “A Woman of Evil” in 1954. His last film appearance was in “Général... nous voilà!” (1978). His most remembered film was probably his role in “Kiss Kiss, Kill Kill” (1966) in the role of Captain Olson. 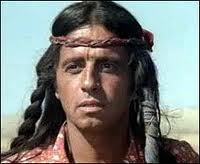 As Jackie Bézard, he appeared in only one Euro-western: “Black Eagle of Santa Fe” as Pasqual in 1964. Jackie died on April 10, 2004 in Sallanches, Haute-Savoie, France. BEZARD, Jackie (aka Bézard, Jacky Bezard, Jakie Bezard) (Jacques Gaston Bézard) [7/9/1930, Nancy, Meurthe-et- Moselle, France – 4/10/2004, Sallanches, Haute-Savoie, France] - producer. 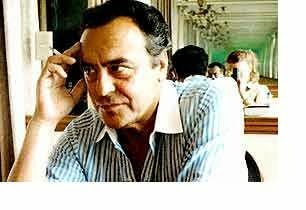 Italian actor and voice dubber Dario De Grassi died in Rome, Italy today September 19th. He was 74. 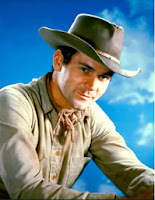 De Grassi appeared in four Euro-westerns: “The Man Who Came to Kill” (1965), “Dynamite Joe” as Foster, “My Name is Pecos” as Pratt and “A Taste for Killing as Steve the last three all in 1966. In the newly annexed California Yankee officials, led by Governor Parker, discriminate and try to strip the local Hispanic population of their land deeds. Caesar Echagüe, who belongs to an long time family of ranchers, pretending to be a coward and a dandy, but is actually in disguise fighting against injustice under the secret identity of the Coyote. The alleged Caesar simpleton attitude shames his fiancée, Leonor, until Coyote saves her from a plot by the evil Parker and reveals his true identity. William West Anderson was born on September 19, 1928 in Walla Walla, Washington. At 14 Adam attended Lakeside School, then went on to Whitman College, where he got a degree in literature and psychology. During his last year of college he also married 17-year-old Billie Lou Yeager. Adam got a job as a DJ at a local radio station, and enrolled at Stanford for post-grad courses. Drafted into the army, he spent the next 2 years starting military TV stations. Afterwards, Adam and his wife toured Europe, visiting Germany, Switzerland and Italy's Isle of Capri. When the money ran out, he joined a childhood and college buddy, Carl Hebenstreit, who was starring in the kiddie program "The Kini Popo Show" in Hawaii. Adam would eventually replace Carl but not the other star, Peaches the Chimp. In 1956 he was divorced and married Ngatokoruaimatauaia Frisbie. They had a daughter, Jonelle, in 1957 and a son, Hunter, in 1958. In 1959 Adam came to Hollywood. He adopted the stage name "Adam West", which fit his roles, as he appeared in a few westerns. After seven years in Hollywood, he achieved fame in 1966 in his signature role as Batman, in the wildly popular ABC-TV series "Batman" (1966). The series, which lasted three seasons, made him not just nationally but internationally famous. The movie version, Batman (1966), earned Adam the "Most Promising New Star" award in 1967. The downside was that the "Batman" fame was partly responsible for ruining his marriage, and he would be typecast and almost unemployable for a while after the series ended. In 1972 he met and married Marcelle Tagand Lear, and picked up two stepchildren, Moya and Jill. In addition, they had two children of their own: Nina West in 1976 and Perrin in 1979. You can't keep a good actor down -- Adam's career took off again, and he has been in about 50 projects since then: movies, TV-movies and sometimes doing voices in TV series. Adam wrote his autobiography "Back to the Batcave" in 1994. One of his most prized possessions is a drawing of Batman by Bob Kane with the inscription "To my buddy, Adam, who breathed life into my pen and ink creation". 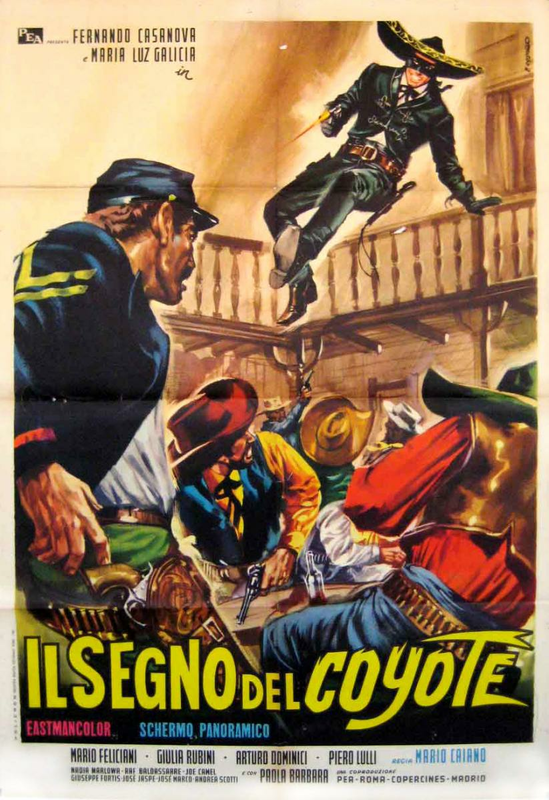 West appeared in one Euro-western: “The Relentless Four” (1965). Today we celebrate Adam West’s 85th birthday. Vanishing Point director Richard C. Sarafian died today in Santa Monica of complications from pneumonia. He was 83. The New York City-born Sarafian had suffered a fall recently where he broke several ribs and back. He contracted the infection while recovering from that incident. Sarafian’s helming of the iconic 1971 car pic was an inspiration to Quentin Tarantino, who gave the director a Special Thanks in the credits of 2007’s car-themed Death Proof. The director was also behind the camera on a number of episodes of TV shows like Batman, I Spy, 77 Sunset Strip and Gunsmoke as well. His last directing job was a 1990 episode of Zorro: The Legend Continues. Sarafian was a presence in front of the camera too. Among his various acting jobs, his good friend Warren Beatty cast him in both Bullworth and Bugsy. 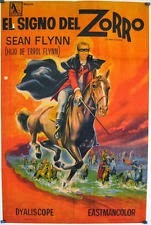 Sarafian also was the director on the 1971 Euro-western "Man in the Wilderness" starring Richard Harris. Franco Franchi was born (Francesco Benenato) on September18, 1928 in Palermo, Sicily, Italy. He began with small funny performances in the streets using the nickname Ciccio Ferraù. In 1955 he and Ciccio Ingrassia formed a comedy team and acted in low-class stage shows until they were discovered by the movie director Mario Mattoli who gave them two bit parts in "Appuntamento a Ischia" alongside the singer and actor Domenico Modugno. Modugno used them in an important stage performance in the musical comedy "Rinaldo in campo". Franchi & Ingrassia's specialties were low budget, quickly turned movies: twelve of their films were made in one year, one in four Sundays. Their careers really took off in the 1960s. 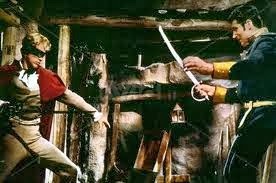 Franco starred in a few dramatic roles such as Luigi Comencini's “Adventures of Pinocchio” (1972), in which they paired memorably as the Fox and the Cat and in the film “Due Marines e un Generale” (1966), with Buster Keaton. Franchi appeared in eleven Euro-westerns from: “Two Mafiamen in the Wild West” (1964) to “Grandson of Zorro” (1975). Franchi is the father of actor Massimo Franchi [1965- ]. Franco died in Rome, Italy on December 9, 1992. Today we remember Franco Franchi on what would have been his 85th birthday. New Mexico, 1874. Indians are being persecuted and killed by the Americans. A woman has survived a massacre and with her rifle and Winchester she seeks justice. Known under the name of Shuna, she encounters and kills the brother of Joe Galvez a feared bandit who now wants revenge and a closer of accounts with the Indio, keeper of a secret that concerns them both.